The Legio Nova candleholder is part of the series of the same name by Eva Trio and is characterised by its conical shape, which is supplemented by a vertical groove structure on the outside. 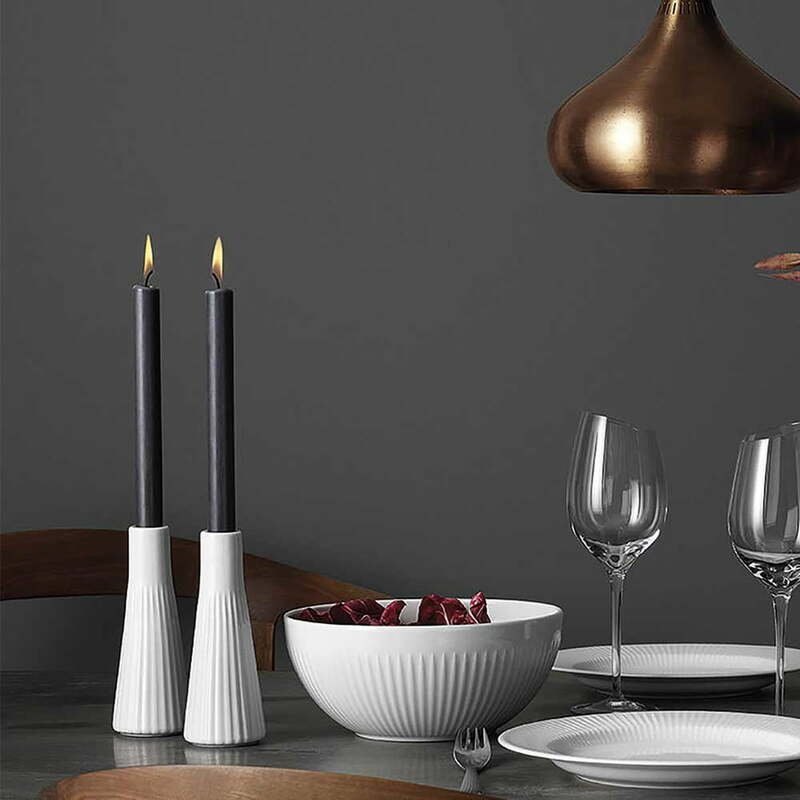 Made of porcelain and kept in plain white, the candleholder is a real eye-catcher in its own right, but can also be wonderfully combined with other decorative elements in various colours and materials. Placed on the kitchen table, the window sill or on the sideboard in groups, the candleholder adds a touch of elegance and provides a cosy atmosphere in any environment when fitted with a standard stick candle. The Legio Nova tealight holders are part of the series of the same name by Eva Trio, which is characterised by decorative items and tableware in elegant porcelain design. 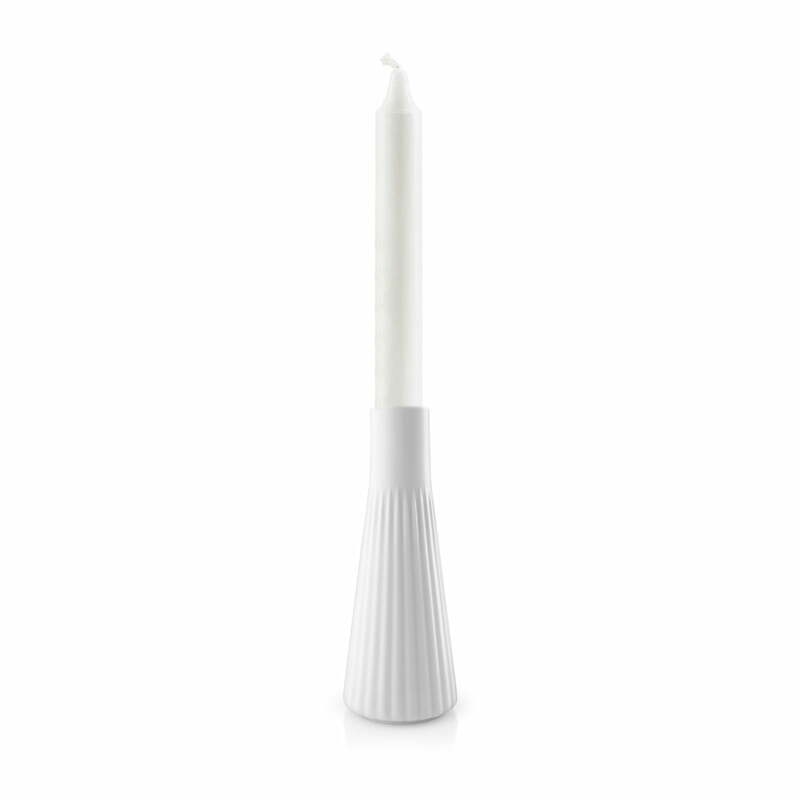 Made of porcelain and kept in plain white, the candleholder is a real eye-catcher in its own right, but can also be wonderfully combined with other decorative elements in various colours and materials. 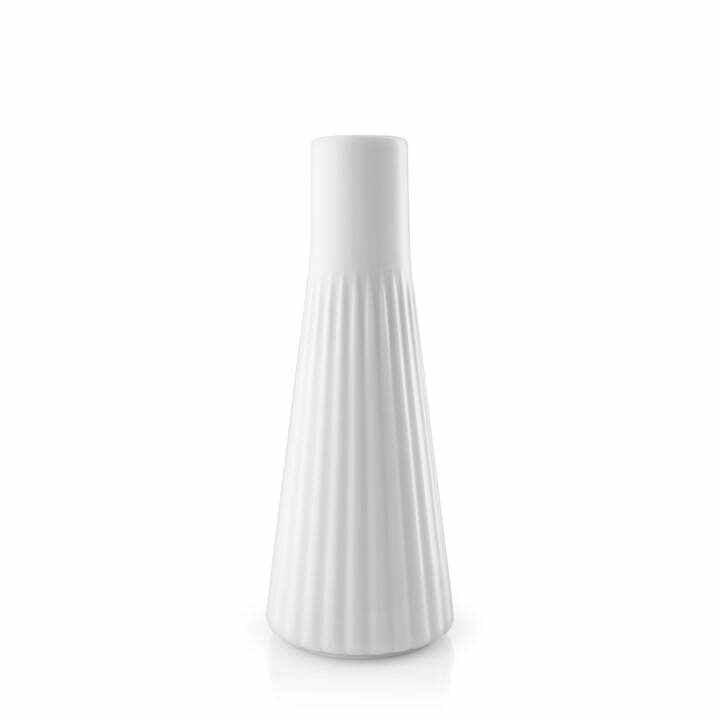 The Legio Nova candleholder is part of the series of the same name by Eva Trio and is characterised by its conical shape, which is supplemented by a vertical groove structure on the outside. Made of porcelain and in plain white.